For the heat treatment types tempering, annealing, soldering, nitrocarburizing, sintering under protective gas at temperatures up to 1,160°C in connection with gas rapid cooling or indirect water cooling section. For austenitizing, gas carburizing under protective gas at temperatures up to 950°C in combination with quenching in oil, polymer, salt or water. Belt run over SiSiC sliding plates. Wire belt conveyor with feed in cold zone . 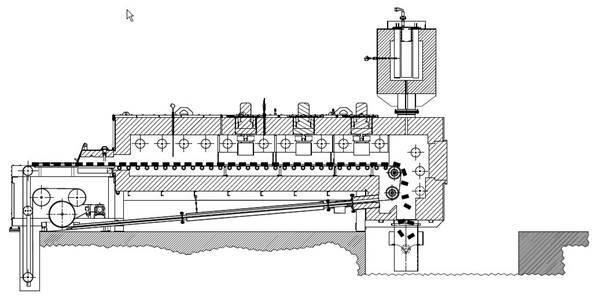 The wire belt conveyor is guided over a cooling channel and a water sealing. For austenitizing, carbonitriding, gas carburizing, nitrocarburizing under protective gas at temperatures up to 950°C in combination with quenching in oil, polymer, salt or water. Process area surrounded by Ni/Cr retort. Fast change between atmospheres possible. Wire belt conveyor with feed in cold zone. For austenitizing, carbonitriding, gas carburizing under protective gas at temperatures up to 950°C in combination with quenching in oil, polymer, salt or water. Wire belt conveyor with feed in cold zone. 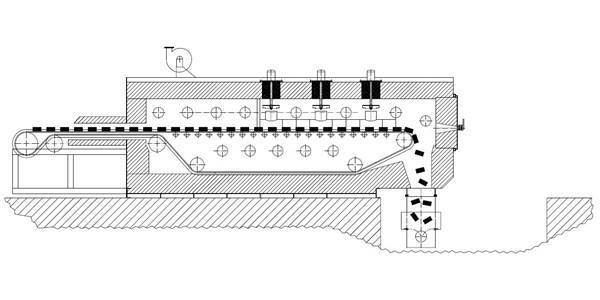 The wire belt conveyor is guided over a cooling channel and a water sealing. For austenitizing, carbonitriding, gas carburizing under protective gas at temperatures up to 950°C in combination with quenching in oil, polymer, salt or water. Wire belt conveyor with feed in cold zone. 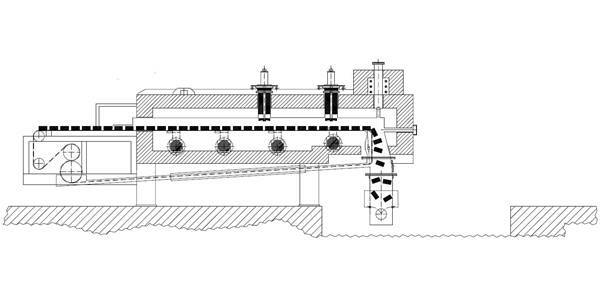 Energy recovery by heat cuperation in the furnace inlet. 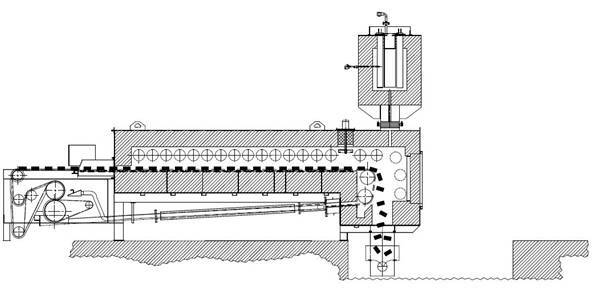 Conveyor on anti-friction-bearing rollers. For austenitizing, gas carburizing, annealing under protective gas at temperatures up to 950°C in combination with quenching in oil, polymer, gas or salt. The goods for heat treatment are transported over SiSiC rollers. Feed and discharge fast runs are possible. For austenitizing, gas carburizing under protective gas at temperatures up to 950°C in combination with quenching in oil, polymer, salt or water. 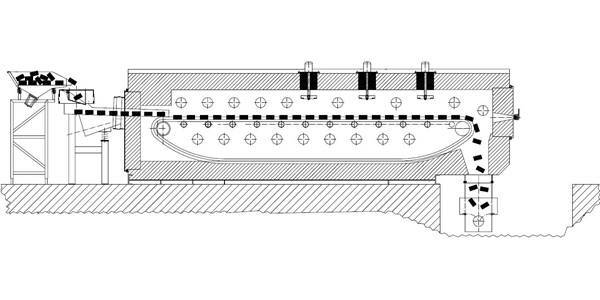 Cast link conveyor circulates through interior of furnace. 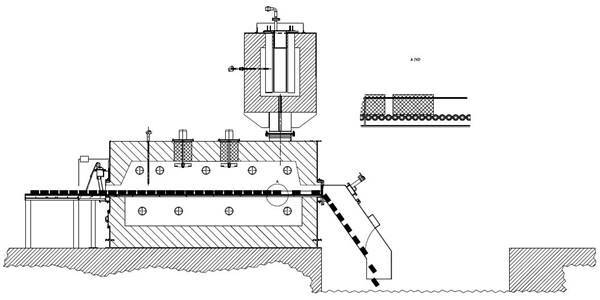 Feeding via optional inlet gate / vibratory chute in the heated zone. 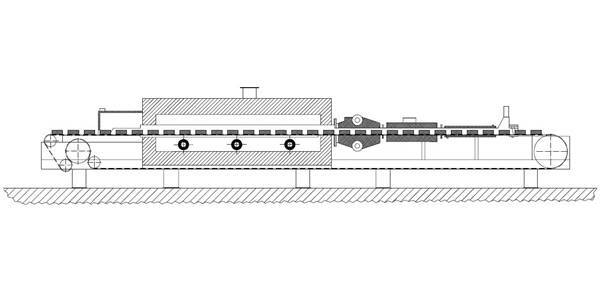 Conveyor on anti-friction load-bearing rollers. For solution annealing and artificial ageing of aluminium at temperatures up to 650°C in conjunction with water quenching. Temperature uniformity in the holding zones guaranteed at max. +/- 3°C. 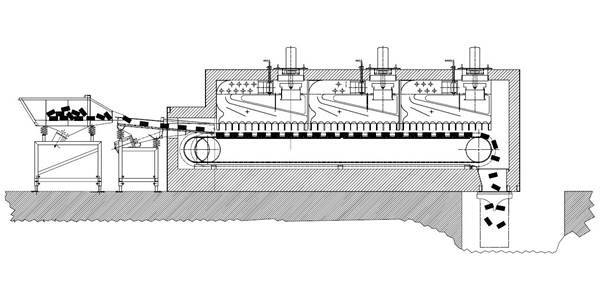 Cast link conveyor circulates through the interior of the furnace. Feeding via vibratory chute in the heated zone.